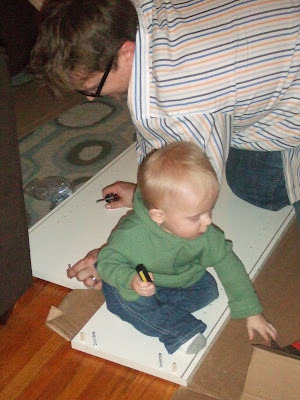 Women on a Mission: Mom Edition: WOM WEEKEND: IKEA FAB FINDS=A FAB CRAFT! 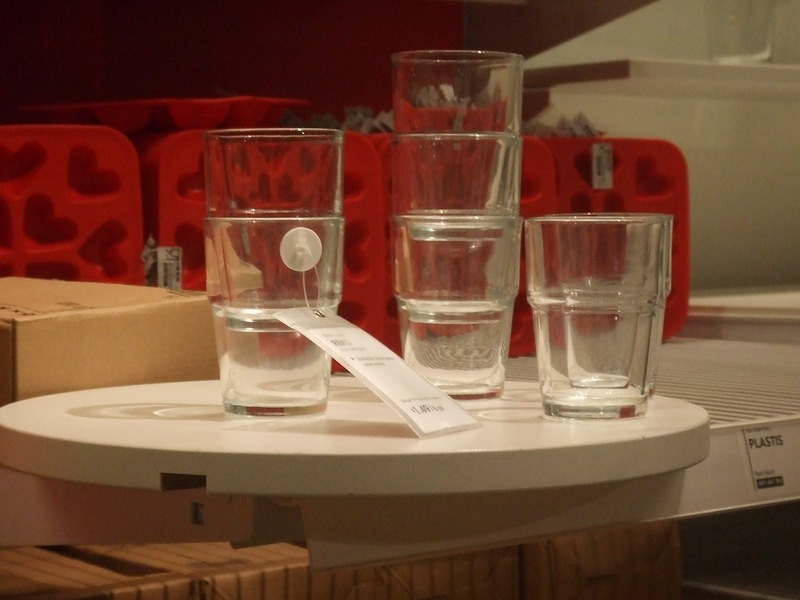 A trip to Big City, Minnesota = IKEA! That’s right…I can’t head to the cities without hitting that marvelous store! Unfortunately, Ethne had to work, Steve had a conference, but that didn’t stop Mur-Man and I from checking it out! A quick scan of the store found lots of inspiration for home decorations, craft projects, and future home remodeling projects. 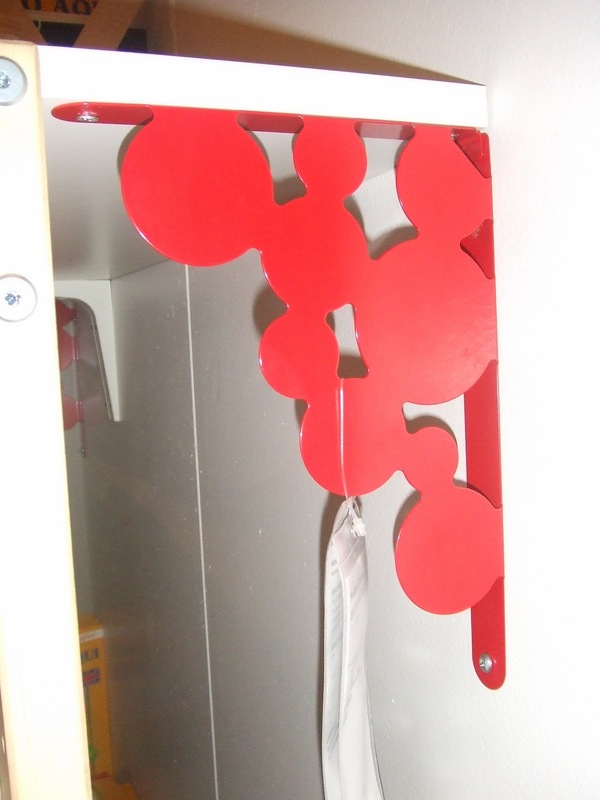 Check out these awesome bubble shelf brackets. Complete with primary red, bold bubbles, and the great price tag of $5.00 for a set of two. These brackets would look great in a kid’s room! This screams superhero to me! I know--I am obsessed! 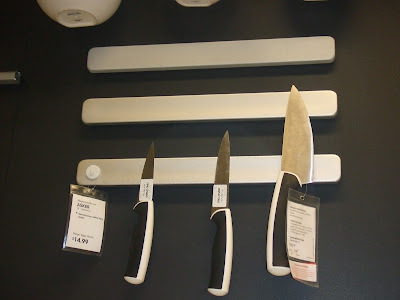 I highly recommend a magnetic strip for knife storage (especially in a kitchen where storage is tight). I already have one, but with the price tag of $14.99 it’s a steal. 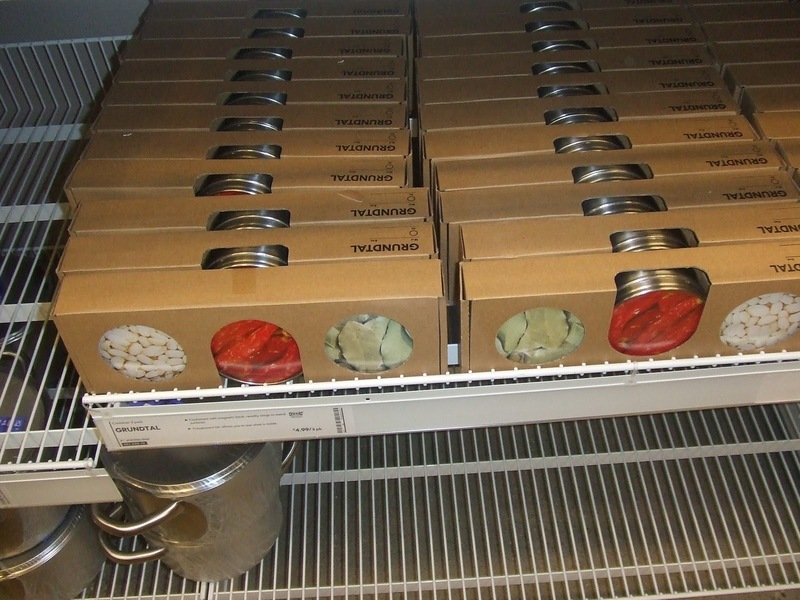 Check out these magnetic spice holders and don’t forget how we used them to hold a set of Mighty Magnets! And the glass etching projects are endless. 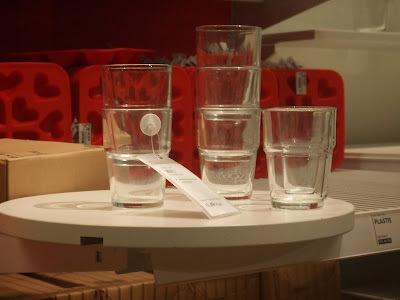 Shot glass, glass sets, and so much more: affordable and a fabulous gift idea. 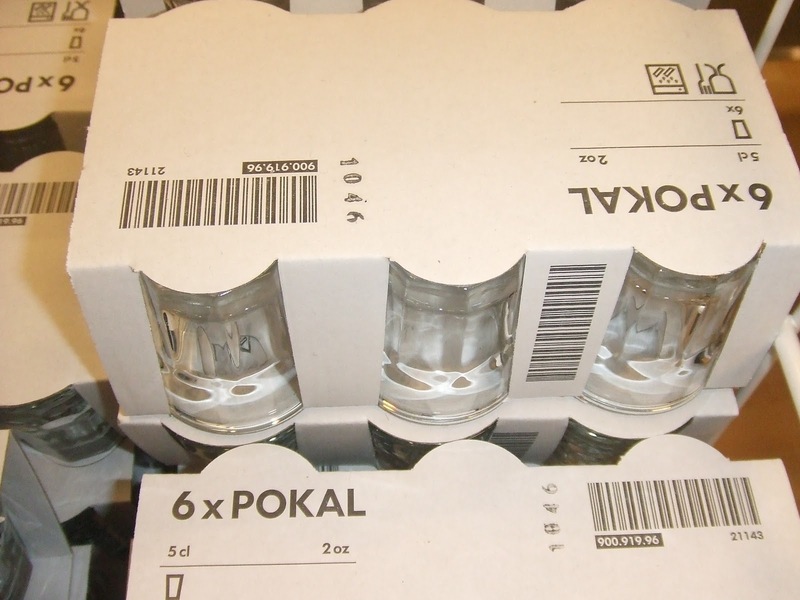 ONLY $1.49 for a set of six glasses! 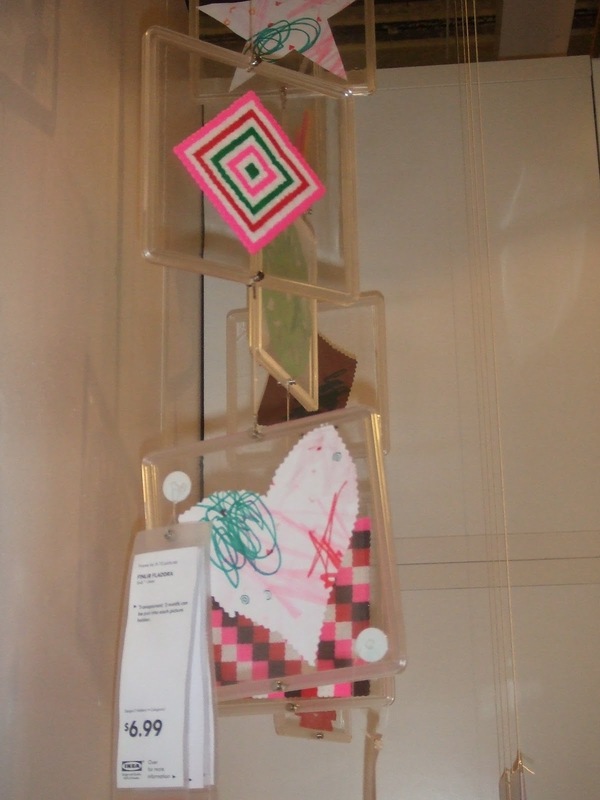 And these vertical hanging clear frames would make a great mobile for a baby room. You can hang a set of three over a crib or changing table for an affordable and creative baby mobile. Not only that, but it could grow with the child and someday display their artwork. ONLY $6.99 for one. Fill with photos, flash cards, art work, and so much more! New moms and dads—trust me, if you are tight on storage, you don’t need a baby bath tub! I have found that a rubber bath mat will do the trick. 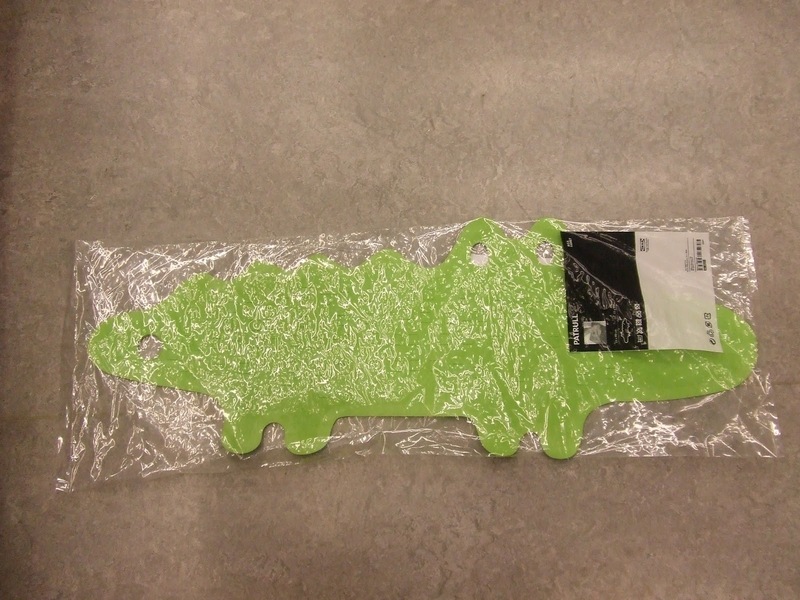 And I can’t believe it…IKEA has creative rubber mats in stock. Check out this adorable crocodile! ONLY $5.99! Adorable, affordable, and your baby won't slide! WOW—I CAN’T BELIEVE IT! IKEA sells children’s wooden hangers for ONLY $2.99 for a pack of five. 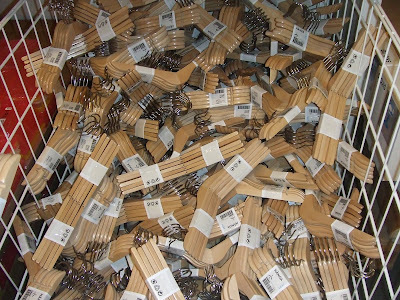 And did you know a set of decorative wood hangers=the perfect baby shower gift! At that price—you can’t resist! Read on for instructions. 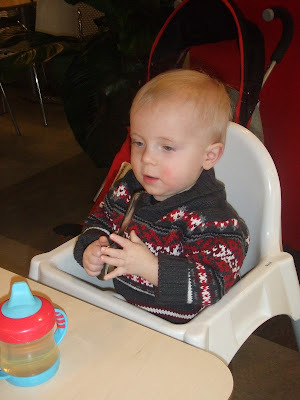 And let's not forget the IKEA snack bar—Mur-man couldn’t resist! His first trip to IKEA …he was exhausted! Mur-man says even IKEA snacks are FAB! I didn't walk away without a furniture purchase. I went home with two BILLIE shelves with glass doors as well as two shelving units for our closets (get ready for the future post: crash my craft room! IT'S FABULOUS!) Here's a sneak peak at Mur-man and Steve hard at work. My men hard at work! 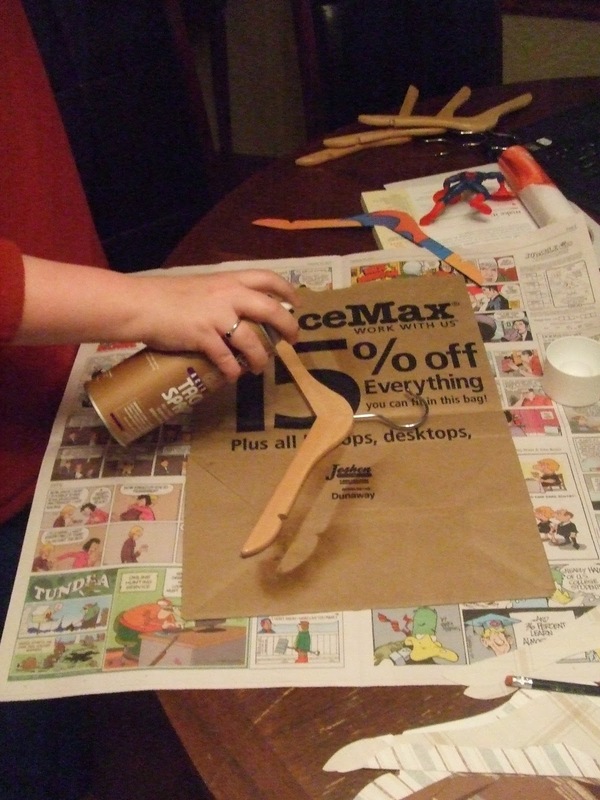 The following steps highlight how to make decorative wooden children's hangers. The idea of this craft and the basic steps came from the book, "Crafty Mama", by Abby Pecori ello. I did make a few changes to work with the supplies I currently had at home. 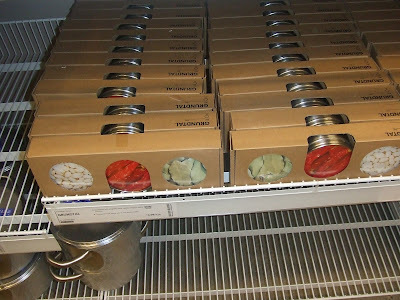 Hanger supplies: simple and mostly around the house! 1. 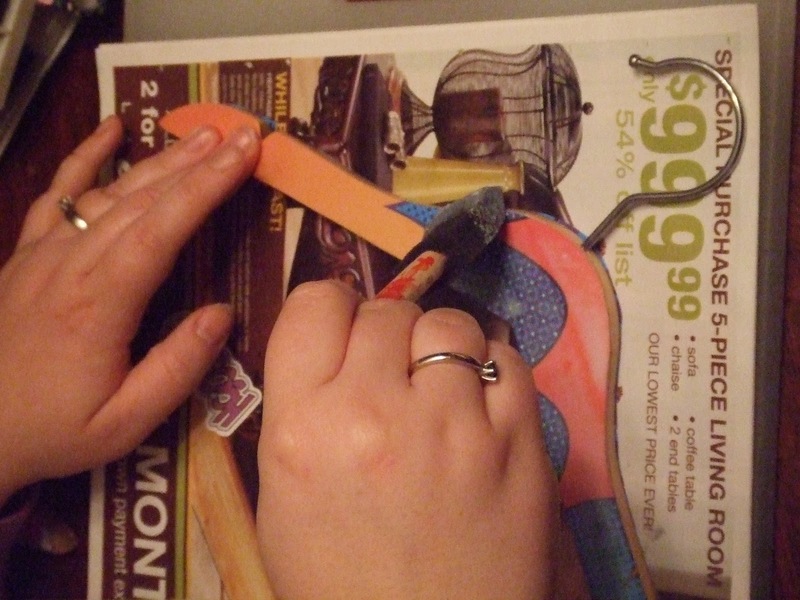 Trace and cut scrapbooking paper to fit the hanger--keep in mind you will need to cut two (one for each side). Trace and cut...make sure there is NO EXCESS PAPER ALONG THE EDGES. 2. 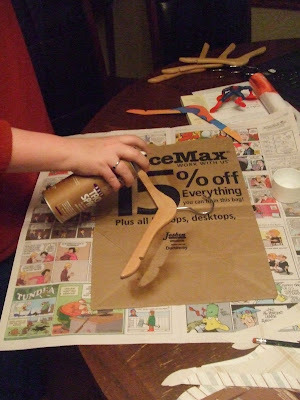 Using crafting glue spray adhesive attach the paper to the hanger--smoothing out all bumps (let each side dry for 15 minutes). Protect the table...this glue goes EVERYWHERE! 3. Using a sponge brush and decoupage medium (or an equal mixture of craft glue and water), put a thin layer of medium over both sides of the hanger, drying for 15 minutes between sides. (I also found superhero decals for Mur-Man's set and utilzing the medium--decoupaged the decal to the hanger). 4. 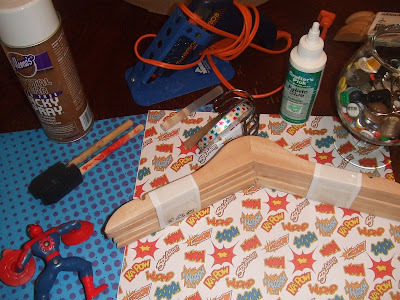 Using a hot glue gun decorate your hanger...use mini toys, name plates, rhinestones, buttons, ribbon. The possibilities are endless. 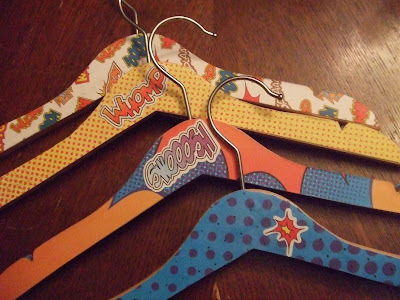 Mur-Man's super hangers for his SUPER ROOM! 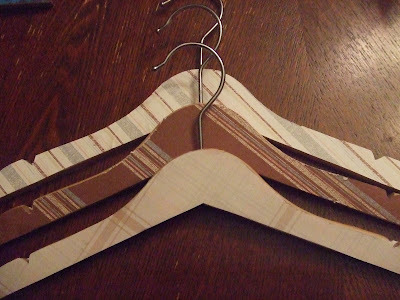 Total cost: $2.99 for the set of five hangers and all other supplies were free (found in my craft room!). 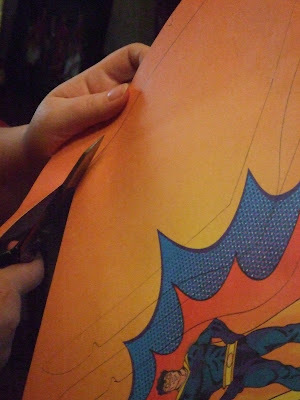 The superhero scrapbooking paper was purchased through Oriental Trading and was leftover from Mur-Man's birthday party. BABY SHOWER TIP: In addition--according to "Crafty Mama", use this idea for a baby shower. Provide wooden hangers and supplies for the guests--have each guest decorate a wooden hanger for the new mom. The new mom will go home with a large supply of decorative, personalized hangers for her child. Kid’s cups, bowls, plates, and silverware are FABULOUS and super affordable. Trust us--they come mom tested and mom approved. Both Ethne and I have a set. (My set came from Thrifty Nana (Ethne's Mom)). And the IKEA potty chair is GREAT—it doesn’t come with all those bells and whistles which mean fewer areas to collect germs! Don't feel the need to spend a fortune...truly they are the way to go!